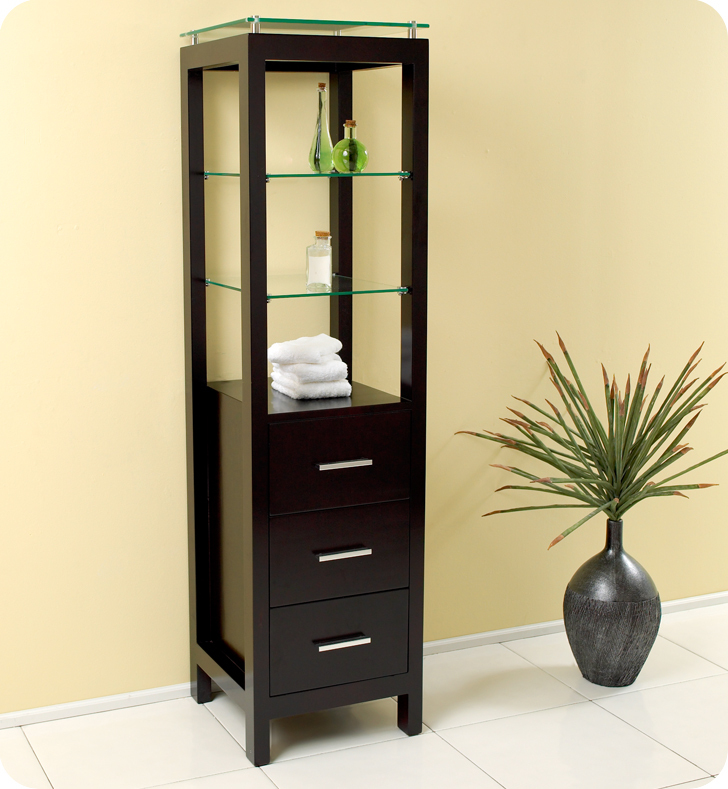 This elegant side cabinet comes with an Espresso finish. It features 3 tempered glass shelves and 3 pull out drawers. It matches nicely with any Espresso vanity.